Americans use more antidepressants that any of the 25 countries reviewed by the Organization for Economic Cooperation and Development. 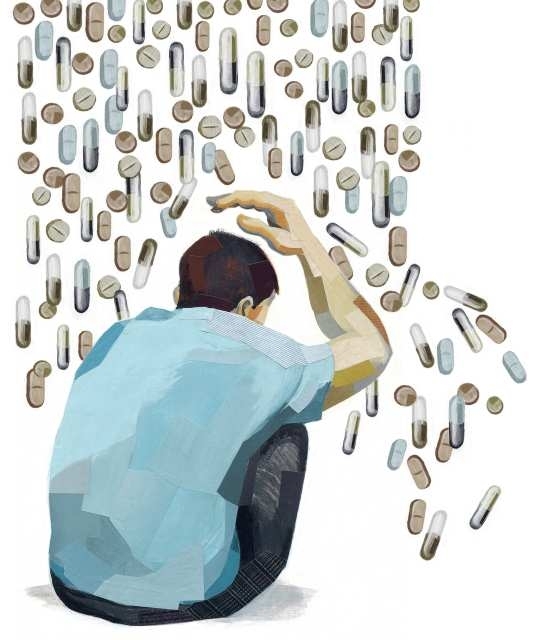 However opioids are just a symptom of a bigger problem, a nationwide prescription drug epidemic warns the Citizens Commission on Human Rights (CCHR), a non-profit mental health watchdog dedicated to the eradication of abuses committed under the guise of mental health. In 2016 Florida medical examiners investigated 27,383 deaths and the toxicology reports from these investigations revealed that drugs were present in 11,910 of these deaths. This report goes on to break down what drugs were found and if the drugs found were simply present or the actual cause of death. When compared to 2015 it was determined that 24% more people were found to have one or more prescription drug in their system at the time of death and that 40% more Floridians died with at least one prescription drug in their system that was identified as the cause of death. CCHR warns that recent information from the health research firm Quintile IMS, reporting that the number of prescriptions for adults and children rose 85 percent between 1997 and 2016 in America, from 2.4 billion to 4.5 billion a year, demonstrates that the reliance on prescription drugs by the medical and psychiatric professions is the real epidemic and that simply targeting opioids will not solve this deadly problem. To learn more about the drugging of America, please contact CCHR at 1-800-782-2878.